Tony Koulouris has over 25 years of experience in corporate finance, sales & marketing and business management. Mr. Koulouris had served as Vice President, Marketing of Baltia Air Lines, Inc. since 2011 and became CFO in February 2016. On October 31, 2016 he became President after recently being named to the Board of Directors. He quickly began assembling a team of highly qualified professionals to lead the restructuring and rebranding of the previous company into US Global Airways. Mr. Koulouris is credited with creating the name “US Global Airways” and has played a lead role in creating the overall vision, development and promotion of the US Global brand. He is a senior finance, sales & marketing executive with diversified experience having worked for Merrill Lynch, Citigroup Global Markets and Morgan Stanley both on the institutional and retail levels. In addition to his corporate experience, he has founded many successful businesses. Throughout his long and illustrious career, Mr. Koulouris has had the opportunity to develop and manage multiple sales regions and departments. He has also held key positions in finance, client services and operations and has extensive experience raising capital, trading, budgeting, and management. His core competencies include: Competitive Market Intelligence, Partnerships & Strategic Alliances, Organization Building, Budget Analysis, Team Building, Leadership, Contract Negotiations, P&L Management, New Product Development, Relationship Management, Sales Training & Motivation and Start-Ups. Mr. Koulouris earned his undergraduate degree in Business Administration from The University of Central Florida and his MBA in Management from Fordham University’s Gabelli School of Business. 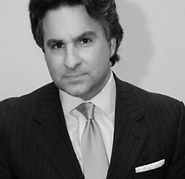 Mr. Koulouris was born in Cleveland, Ohio, was raised in Ormond Beach, Florida and has lived in the New York City Metropolitan Area for over 20 years. May 15, 2017 Forbes Interview ~ Can Boeing 767 Flights From Stewart Field To Paris And Tel Aviv Enable a Startup's Success?